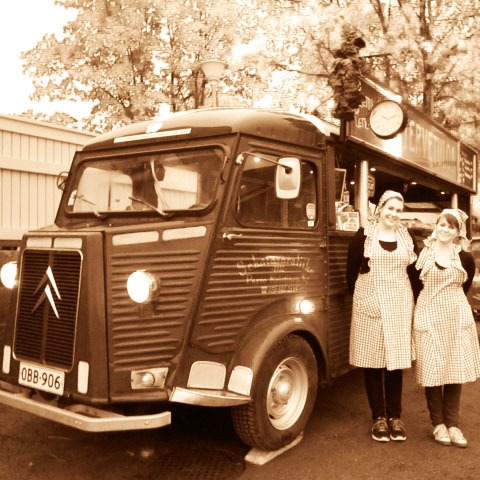 This noble French lady serves customers from businesses to people in small and large events and festivals. Fairs, promotions, movies, photo shoots, openings, roofing celebrations, weddings, birthday parties, graduations... You name it. She can be dressed according to the theme. She can also take care of the catering - from sweet to savory. We offer tasty ice cream servings and filling fish and BBQ grill buffets. Our French lady moves beautifully among urban transport. 2. She is hard to remain unnoticed. 3. She will raise the profile of any event with her appearance. Don't hesitate to propose a meeting with her!